Join us for a spirited debate among the candidates in the Gainesville City Commission races. There are three races District 2, District 3 and At Large seats. 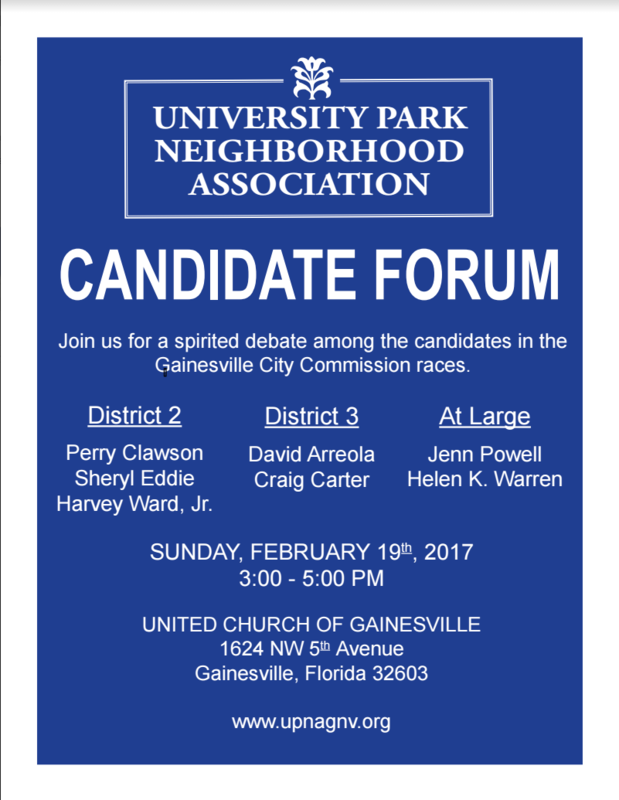 The candidate forum is on Sunday, February 19th from 3 to 5pm. It will be held at United Church of Gainesville located at 1624 NW 5th Avenue.